Bao Xia died suddenly in April 2016. Bao was an extraordinary character and one-of-a-kind; a diligent and loving son, and the kindest friend and colleague. This is a page for everyone who knew Bao - in and outside of work - to share memories, photos, and celebrate his life. If you would like to add a memory please use this form (also embedded below) to submit the text you would like to be uploaded. Alternatively, and particularly if you have any photographs you would like to contribute, please send your text and/or images to Punit Shah (shahpq@gmail.com). 26/05/2016 Shona Bruce Bao was a well-respected pupil at RGC from August 2003 until he left at the end of S6 in 2010, and I was fortunate to be his Guidance teacher for the first three and a half years of his time with us. I remember him well and was greatly saddened to hear of his passing at such a young age. Bao was a very intelligent young man with a true passion and zeal for the sciences. His mathematical skills were such that he solved puzzles almost instantaneously and he stubbornly refused to show his workings because couldn’t understand why he had to force himself to slow down and show every stage of a process that was, for him, so obvious and straightforward. Even in First Year his teacher commented that ‘he must learn to show all workings and not just write down the answer.’ But for Bao it was obvious. His Biology teacher gave him some good advice in order to help him to show all his workings. She said, ‘ Always assume that the examiner knows nothing, but wants to learn everything.’ In time, Bao came to follow that advice, being rewarded with excellent grades and marks. But it wasn’t just in Maths and the sciences that Bao excelled, he was also a very skilled musician, playing in the Intermediate Concert Band and representing the college in tours abroad. His Music teacher commented in glowing terms: ‘Bao is a boy of outstanding maturity with a most gentle personality and excellent manners’ which was a fitting tribute to this quiet young man. He continued with Technology however, and his S4 teacher writes;’ Bao excels at all he does and is naturally gifted in the subject. He was awarded a Grade 1 in his Application of Technology assessment which reached a remarkable standard.’ And all reports from then on followed the same vein meaning that he left school with the highest grades possible. In his UCAS statement he wrote about his voluntary work at a local care home; ‘One of the residents of the nursing home had Alzheimer’s disease. She was a pleasant person to be around, but the gradual decline in her condition over the few months I have known her was very depressing. This made me realise how little I know about mental disorders and the brain in general. To further my knowledge, I have since read books such as ‘The Private Life of the Brain’ by Susan Greenfield and ‘The Man who Mistook his Wife for a Hat’ by Oliver Sacks.’ This was a 17 year old boy, already studying three Advanced Highers and doing crash Psychology for fun (!!) taking the time, not only to sit and read to the elderly, or chat to them, or play cards, but also having the motivation to go and find out more about what made them tick, or not. This demonstrated Bao’s sensitive, caring personality, but also his dogged determination to learn a little more about their medical conditions and what life for them meant. There aren’t many young people who go that extra mile. And so Bao set off for university armed with huge reserves of energy to give his chosen course everything that he could, and bags of brain power. Bao Xia was an exceptional young man who managed to beautifully marry a logical scientific brain with a caring and loving heart. Academically he was extremely bright, but it would be a shame to remember him just for that. He was the whole package, he was a young gentleman with so much to offer, he employed a dry sense of humour and there was a quietness about him which was soothing and reassuring. The world needs characters like Bao, and is the poorer for his tragic passing. 18/05/2016 Niall Bourke We first met at the beginning of the MSc in Neuroimaging at Kings. As an Irishman I probably shouldn't admit I rarely (if ever) drank Guinness before moving to London. On our first evening out following in his footsteps ordered a pint. Eventually our friendship found us in Dublin at the Guinness store house. One thing I remember particularly well from this trip was his love for Millie my dog back my parents house. She instantly took a liking to him and fell asleep on his lap while we sat around chatting. He will certainly be missed. 11/05/2016 Izzy Yorke I didn't know Bao as well as I would've liked, but I really enjoyed spending time with him at the SGDP centre (and the pub). He was always so calm and happy-go-lucky - and this was infectious! He had excellent perspective on what is important in life. Thinking of his family, friends and all who knew him. Bao was one of the first students I met when I joined the SGDP Centre as his Programme Administrator in November 2014. In an inversion of the norm, he helped me settle into the job and the Centre. I watched him saunter through the MSc part of his PhD programme with that iconic sleepy grin of his. He even did his assessed Centre presentation after making a night of it and was very hungover or possibly still drunk - I thought it was just nerves! He was generally so chilled, I used to joke with him that, if he got any more uptight, he'd achieve horizontal. Bao was a very sociable bunny and most of my memories of him involve an alcoholic beverage of some sort! At a Karaoke session last June he memorably said that he could only sing 5 notes and, of those, only 2 were in tune. It didn't stop him though and he was the only one brave enough to tackle any Chinese choons! Bao always seemed to be helping someone out, whether demonstrating for my (new) MSc students or with something more esoteric. His piano playing at the recent art exhibition opening epitomised Bao - original, smooth and seemingly effortless - a musical stream of consciousness. Ever self-deprecating, he said that, as he had made up the music, no one could tell when he played a wrong note. I was never smart enough to share a class with Bao, but most days he would have sit and have lunch with us in the Gordon’s quad and have a good time. He was quiet, but never from shyness. When he talked, it was either to say something very intelligent, or extremely funny. One of my warmest memories from my teenage years was with Bao on a school trip to London. One night we snuck around the hotel after everyone had gone to bed, so we could meet up and play cards over ice cream. Growing bored with our refusal to take the game very seriously, he mischievously suggested we play another game. Taking his time explaining the rules, and origins of the game, slowly building up the suspense, it dawned on us that he was tricking us all by describing the game of snap. I’m so sad I never had the opportunity to know him as an adult, but I’m glad to see so many people have good memories of him, as I do. I am deeply saddened to hear about Bao's death. We met last summer when I briefly joined the SGDP on a summer research placement. I greatly enjoyed getting to know Bao over drinks in the department and on various meals out. He struck me as a brilliant, unique, warm and enormously generous person; he made me feel extremely welcome in the department in-spite of the fact I was only there for a few months. My thoughts are with his family and friends. I met Bao in 2014 here at the SGDP Centre when teaching him on one of the first-year modules. Last year November, in capacity of PhD programme Chair, we had our first annual review meeting. We discussed his progress and the change of supervisors now Chloe was on maternity leave. We discussed a paper he was about to submit, upcoming conferences and courses he would attend. He looked happy, in control. He always did. I will remember and treasure my last interaction with him at the Student Show Case event. All of life is a dream walking, all of death is a going home. Keep smiling dear Bao. One of the first things I remember Bao telling me was how he had spent some time in a monastery in China, scrubbing an entire hall with a toothbrush because of his mischievous behaviour. I immediately didn’t believe such an outlandish story but as I slowly got to know him during our school years, I realised that this is something that would only happen to Bao. Bao would never shy away from saying what he thought, even if it meant his teachers or peers would disapprove. In hindsight he had a self-confidence and belief in his morals that were well beyond his years. This is something I have tried to take on board ever since, and something I will always remember about him. During our undergraduate degree he would rarely be seen in lectures, often preferring to stay at his halls and pursue his own interests, after all ‘What’s the point in going to lectures when I can teach myself better than the lecturers can in half the time?’. When I did see him we would often debate, with him usually coming out on top, but it was his logical view on life that stays with me to this day. He challenged many of the views I had, often pointing out the ridiculousness of the social norms that we live by, and discussing taboo subjects with a frankness that I admired. This pragmatism and self-confidence was a hallmark of his, he always did what he thought was right and it is a testament to his intellect that he got himself through his degree and with a calmness I have never seen before. Sadly, after finishing our BSc’s we drifted apart, and it’s a shame that our plans to meet up recently didn’t materialize. He was a unique individual that not many people got to know that well, and I deeply regret losing touch. I’ll never know what he did to end up scrubbing that hall, or if it happened at all, but I guess that’s part of the enigma that was Bao. 30/04/2016 Wendy MacGregor I had the pleasure of being Bao's form teacher and often his Biology teacher too. I hope it wasn't me that asked him to say a bit about himself as I hoped I would have laughed when he said "I am Bao and I am bored"! Certainly the photo shared above by Daram was taken in my lab and I have very fond memories of the class. Bao was always very intelligent with a unique sense of humour. Reading of what he had achieved in his studies makes me very proud and very sad for what we have all lost. I am thinking of his family and friends at this very sad time. This is really tragic news – we’ve lost a great colleague, an excellent student and a good friend. Bao will be sorely missed by the entire epigenetics group both in the SGDP and Exeter. I met Bao in September 2015 when I joined the SGDP Centre. During one of the first times we spoke, with a mutual interest in Autism research, I eagerly quizzed him about his epigenetic work on twins with Autism. In what I would later know to be classic Bao style, he shrugged and completely played down what is arguably some of the coolest and most promising research into the genetics of Autism. His effortless intelligence and humble nature were complimented by a mischievous streak and an intriguing unique personality. During some of the first social/mingling events I attended at the SGDP Centre, Bao was always there to listen to my nervous ramblings and give his cool and collected words of wisdom when I was anxious about my genetics essays. Over the following months I came to learn that Bao had a wonderful way of calming his friends’ worries by offering his logical mastery and perfect comic timing. There wasn’t a single student at the SGDP centre that had a bad word to say about Bao. He was quiet and mysterious but there was really no limit to the knowledge and technical assistance he would offer anyone and everyone. He gave so much and never asked for anything and for that, I truly admire him. I wish I had had more time to get to know Bao, whether it be till the very end of a long night at the pub or at a random IoPPN event that he had rocked up to just because. There are really no words good enough to capture what a wonderful individual he was or how devastating the news of his death is to those who really appreciated him. Rest in peace lovely Bao, you will not be forgotten. I met Bao during my masters where I was doing my project with Sophie who shared an office with him. I therefore spent a couple of months sat next to him. He was a very interesting person, with unique ideas and thoughts about everything. All of my memories of him make me smile. I will always find his nonchalant attitude funny, I remember watching him preparing a powerpoint of a talk he had to give and both Sophie and I offered to listen to him practise but, in typical Bao style, he was not worried in the slightest, in fact I am pretty certain he completely made up his talk on the day. I couldn't believe how smooth he was! I will try to use his cool, calm, collectedness as inspiration to not worry so much about things. He had a good attitude towards life, it was refreshing, and reminded me to relax a little, and be more like Bao. If it weren't for Bao, I wouldn't have seen the beautiful view from the roof of the SGDP building. I am thankful for him being there when I arrived at the office upset from an incident I had experienced on the way in, he gave me a hug and reminded me that people are rubbish sometimes, but I shouldn't let them affect me. He sat with me, let me get it all out and he listened, which was just what I needed. There were moments during my project where I felt a little disheartened or distracted (as you might do when faced with reading a 25+ page research paper) however I found comfort in looking over at his desk to see him simultaneously watching the tennis, a Chinese sitcom, and Youtube on his 3 monitors, as well as rotating 2 Baoding balls in his hands. It reminded me that procrastination wasn't a curse that only I carried. But he somehow managed to get everything done anyway, and if he could do it, then so could I.
Bao was a treasured member of the SGDP Centre, and my sadness at hearing of his death is beyond words. I had the great pleasure of teaching him in one of the first-year modules, and of co-authoring a manuscript with him that he recently submitted for publication. I had already learnt a lot from Bao, and I hoped to learn much more. His humour and kindness shone out, and we will all miss him terribly. I will hold on to the memory of Bao playing the piano in our atrium during the opening of the latest art exhibition a couple of weeks ago. Characteristically, he had kindly helped us out when the planned pianist had cancelled, and he played really beautifully in a style that perfectly matched the art. When I thanked him and complimented him on his playing, he said (with his usual wry and self-deprecating charm) that he had just 'picked it up along the way'. He was a young scientist of great ability and lovely human being; rest in peace, dear Bao. It was the first class on the first day of high school. We were asked to stand up in turn and say a couple of lines about ourselves. One after the other, each of us stood up and said something along the lines of our name and interests - usually something generic about sports, music or friends. When it came Bao’s turn to speak however, he stood up and simply said in classic Bao style: “My name is Bao and I am very bored.” The whole class erupted in laughter but our teacher was not pleased. Despite this, Bao was not shaken and his attitude of not caring too much about what other people thought, not conforming to political correctness for the sake of it, always speaking his mind when asked and doing what he thought was right (not what other people told him) was something which he maintained throughout his time at school. He was quietly confident and effortlessly intelligent. I recall many a time he would finish his classwork long before anyone else and sit casually, drawing funny pictures or causing some sort of quiet mischief – much to the awe and alarm of his teachers and amusement and respect of his peers. He had this cool, maverick, renegade side to him but it was never loud, aggressive, threatening or self-indulgent. Instead, it was beautifully balanced by a great warmth and gentleness. His presence was always peaceful and reassuring. One-of-a-kind. His death is a great loss. My dear friend Bao. I met Bao in October 2014 when, in true Bao style, he strolled smoothly into the office we shared for the first time. He sat down at the desk labelled with his name and began immediately setting up his collection of computer monitors and other electrical equipment. Over time he surprised me as this collection grew but he started with just one computer and two monitors! The encounter we had on this first day was probably typical of every day after - I talked far too much and Bao listened and made witty but insightful comments! He would always intrigue me with stories of his mischief and life experiences, but in a way that was casual and mysterious, and from which I could never really work out which bits to believe and which bits were for dramatic or comic effect! This was what made Bao unique and special. We recently described him as ‘James Bond’ – he was mysterious and smooth in everything he did, whilst being intellectually superior to anyone I’ve met, and insightful, rational and fair in every discussion we had (whether in the office, the pub or over dinner). I think I learnt more from Bao than he could have from me but he was fine with that. My favourite memories with Bao I now realise are instances where Bao surprised us with another wonderful skill he had (sometimes even he didn’t know he had until he tried). These include his expertise in meditation – he persevered in teaching us this skill even through lots of giggling on our part (sorry Bao! ); his piano playing ability – which was accidently discovered when he thought no one was around; his vast knowledge of almost everything there was to know, which we often had the pleasure of learning from; and finally our recent group venture to a lindy hop dance workshop, where Bao impressed everyone with his clearly natural ability to pick up any new skill despite never having danced before!! 29/04/2016 Dr Cathy Fernandes Bao was a highly intelligent, gifted and enthusiastic student and I have no doubt he would have gone on to a successful research career in the field of mental health research. Bao was making excellent progress in his PhD on the biology underlying autism spectrum disorders and response to treatment intervention strategies. I had the honour of teaching Bao in the first year of his studies with us at the SGDP Centre and I recently became his third supervisor and we had started to do some research together. Bao was always a delight to teach and supervise – he a very bright, dependable and extremely likable individual. He also had the makings of a wonderful future educator – he was as a demonstrator on one of our Masters programmes. Bao was incredibly patient and kind and our Masters students really valued his support developing their skills. In addition to being an excellent scholar, Bao was a key part of the social life at the SGDP Centre. Bao will be greatly missed by us all - his generosity of spirit, gentle wit and incredible smile are what I will remember best. 29/04/2016 MP Coll I have only been in London for a few months but I’m glad I had the chance to meet Bao. Settling in in a new job in a foreign country was a challenge for me but in the turmoil of it all, I found Bao presence at most social events I attended comforting and reassuring. He was easy to approach and every chat I had with him always made me more cheerful and his simple wisdom and calm demeanor always helped to put my worries in perspective. We had a lot of common interests such as science and music and I am deeply saddened that I won’t get the chance to get to know him better since he was certainly one of the most interesting person I have met since I arrived in London. My sincere condolences to his family and to everyone lucky enough to call him friend. Bao and I met during the induction week of his 1+3 MSc/PhD at the SGDP Centre. There are not many people I properly connect with at the Centre, many people are bit robotic and self-interested. Bao was completely different and this was abundantly clear from the start from our first evening out. He drank Guinness the whole evening while others quaffed wine and, although most people left quite early – satisfied they had done their ‘social networking’ for the day – he stayed at The Phoenix till close. It felt like we talked about almost everything that evening - I was struck by his remarkable intellect, mature view of academia, and most importantly, his willingness to make an effort with people even though social interaction may not have come naturally to him. I learnt a lot from this and seeing how he carried himself. In the months and years that followed, there would be many similar days. Bao had a majorly atypical and amazing openness to experience. He was truly inquisitive about the world and interested in what others were doing. This is why he helped so many people (usually with technical problems), not just because he wanted to be a nice guy (and he was the nicest) but also because he loved problem solving. He also had the metacognitive awareness to know that he was mainly helping people because he enjoyed solving their problems, but that it was at least equally beneficial for them. For him, it was a win-win. We would go further and discuss the neurobiological underpinnings of prosociality and altruism, usually agreeing that these things probably didn’t exist but that the world can be a decent place by helping others to help oneself. If Bao was looking at this website he would know that I created it not just to help other people but to help myself. This is a good example of how Bao viewed the world – he was a beautifully deep thinker, analytical, pragmatic, and therefore usually correct. This also made him a hugely creative person and not really care about the ‘rules’. Indeed, as many people reading this will know, we broke many rules together and he was a real partner in crime. This is one of the main reasons I will miss him so much. I will also miss him turning up to all sorts of events, almost everything he was invited to. Again, despite the fact that he didn’t always know what to say in social situations, when invited to events, he would even come along to drinks with my friends from outside academia and impress them with his random knowledge of their field of work. I will miss also him mocking people who were vegetarian/ate boring salads (Baoism: Why would I chose to eat the food that my food eats). I will miss him playing the piano at the SGDP Centre after everyone had left at night or when no one was in at the weekends. And I will miss his overall suave, seemingly nonchalant attitude to absolutely everything he did. Overall, I will miss having someone who saw the world differently and behaved in a way that was wonderfully different to other people. Dear Bao, thanks for being such a good mate. I am sorry that I and the world didn’t do more to help you when you gave us all so much. You will be remembered as a legend and will always be missed. Having now met your parents I can really see how you were so remarkable. A deep, provocative, analytical and scientific thinker like your wonderful mum. And a strikingly kind, humble, technically savvy, respectful, and brave person like your dad. I hope you are at peace my friend. Bao and I met while we studied for a master's degree together in Neuroimaging at King's college London. There weren’t many people on this course and we had an excellent group spirit: We would spend most of our days together. Bao was always enthusiastic about his work and he would help others out when he could too. He spent a good amount of time helping me in a computer lab when I was stuck and feeling demotivated, and he convinced me I could get my head around some pretty hard-core biophysics too (and with his help I eventually kind of did). We had so many inspirational and thought-provoking conversations, both at the university and outside, and I will forever cherish those memories. It is difficult to find the right words to express myself at a time like this. Bao will be greatly missed and I am deeply sorry to hear about his death. My thoughts are with his family and many friends. 28/04/2016 Charlie E Thank you, Bao, for good humour and friendly company. A great loss to the academic community and most of all to your family. Thoughts with you all. 28/04/2016 Dr. Frank Hirth What a loss. Bao carried out his BSc lab project with us, only a few months in 2013, but well remembered for his dedication and creative power. My thoughts are with his family and friends. Words are hard to find at a time like this. 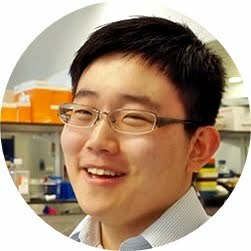 Bao was a key member of the psychiatric epigenetics group at the SGDP centre and one of my beloved PhD students. He was a highly talented young scholar with great enthusiasm. Bao’s kind demeanor and smile will always be remembered. My deepest sympathies go out to his family and friends. 28/04/2016 IoPPN, King's College London It is with great sadness that we announce the death of Baocong Xia, a postgraduate research student at the IoPPN’s MRC Social, Genetic & Developmental Psychiatry Centre. Bao had been a student at King’s since 2010. He graduated from the BSc Neuroscience programme in 2013 and from the MSc in Neuroimaging in 2014, before moving to the SGDP Centre, with links to the Department of Developmental Neurobiology. He will be greatly missed by his friends and colleagues across the IoPPN and the wider King’s community. Bao was a highly intelligent, gifted and enthusiastic student and neuroscientist. He was an extremely likeable individual and a key part of the social life at the SGDP Centre. He was in the 1st year of his PhD on the role of epigenetic mechanisms in neurodevelopmental psychiatric disorders and making excellent progress. According to his supervisors he was on course for a most successful career in mental health research. The tragic death of such a promising and cherished member of our community is a great shock to us all. As we come together to support each other in this very difficult time, please give Bao’s friends and colleagues the time and space they need to grieve. There are services available at King’s and beyond to whom you can speak confidentially if there is anything that you would like to discuss: for students and for staff; for all:The Chaplaincy, The Samaritans. We are of course in touch with Bao’s family and we are offering all the support we can. If you were close to Bao and would like information on events to be held in his memory, please contact Melissa Sollich:melissa.sollich@kcl.ac.uk. 28/04/2016 Amy Gillespie I had met Bao only a few times over the last year at an epigenetics journal club, but could instantly see what a warm and friendly character he was. From speaking to some of his close friends, I can tell how much he’ll be missed – and as he had been a student across departments of King’s since 2010, I know there will be many people feeling this loss. A memorial on campus is being discussed, bringing together students and staff from across King’s, and I’ll keep students updated via my emails. It’s a cliché but it’s true - in times like this we need to support one another, and reach out for the help we need. It’s normal to be shaken by this, even if you may not have known him, but it’s also important to remember that everyone responds differently to situations like this – there is no right or wrong reaction. If anyone is struggling and doesn’t know where to turn, please just give me an email. Counselling have been in touch to offer their support, as has Jane Speck from the Chaplaincy (you don’t need to be religious – the chaplaincy are there for anyone). The Samaritans are also always available to contact, and we also have our own college Nightline (a confidential telephone counselling service between 6pm and 8am - 020 7631 0101). You don’t need to feel like talking – sometimes just having someone else sit with you, or be on the end of the phone, while you process your thoughts can be helpful. I wish I had some more eloquent words to say, some perfect words to end on – but I just want to reach out to everyone affected by this news. My sincere, sincere condolences to all those who knew him.